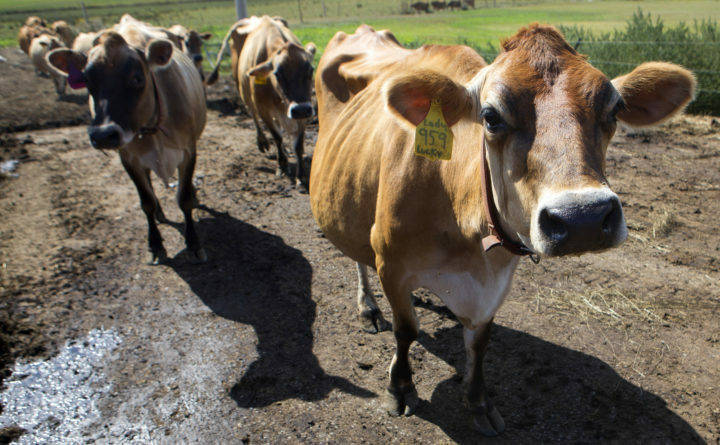 Jersey dairy cows wander around in Hermon, Sept. 7, 2016. An Embden man faces criminal charges after allegedly shooting a neighbor's cow that wandered onto his property. A Somerset County man is accused of shooting his neighbor’s cow after it wandered onto his property, local authorities said. Embden resident Mason Sparrow, 24, faces criminal charges for the killing that took place Sept. 5, according Somerset County Sheriff’s Office. Deputies later charged him with a cruelty to animals misdemeanor. “You cannot kill a domestic animal belonging to another person without their consent,” Sheriff Dale Lancaster said. If an animal trespasses on your property, call the animal control officer, the sheriff advised. The cow’s owner, 40-year-old Jaime Danforth, was issued a civil charge for animal trespass. Sparrow was issued a summons to appear in court in November.